Single stroke with out material will reduce the life of a punch & die by thousands of hits. 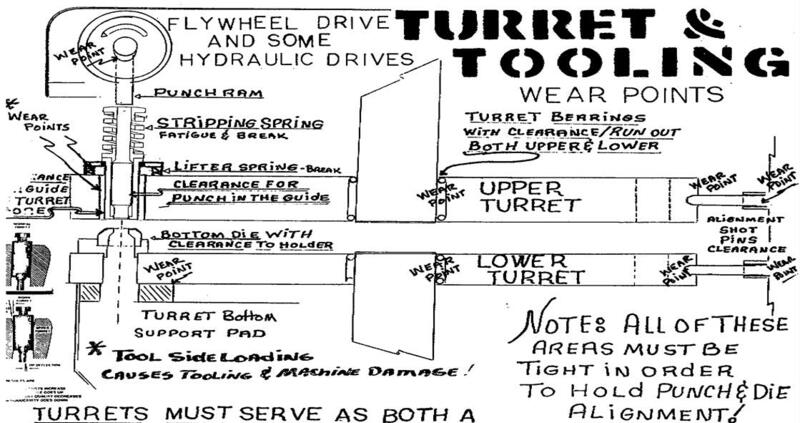 Turrets are sold to be precision machines serving as a tool changer and guide for punch and dies. It is donating all the areas of play that contribute to the punch and die placed in a turret press to not stay aligned. Truth is, the turret does not position P&D aligned, certainly not for clearances up to .012”/.3mm How does P&D not side load. In a split second, punch engages the material and then floats to least resistance which is the centering of the die.